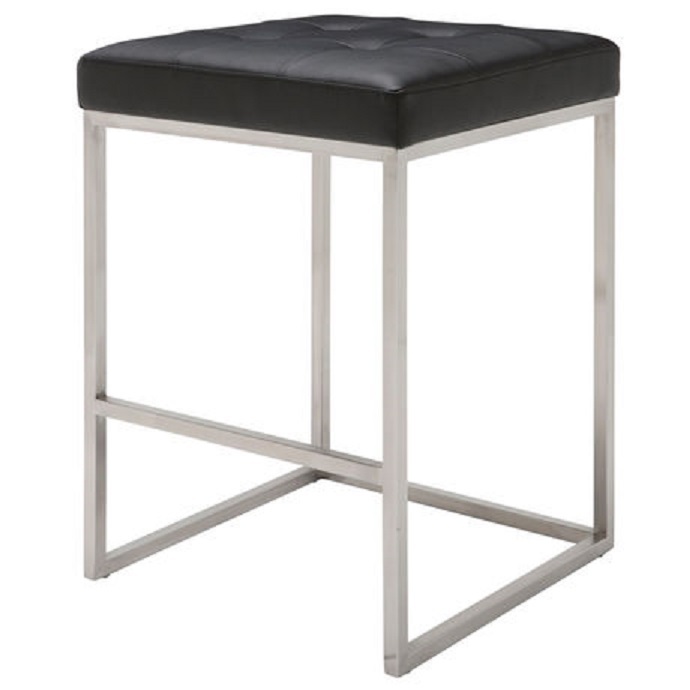 This counter stool is an ideal example of simple elegant modern design. The brushed stainless steel frame, including fixed foot rest, uses a bare minimum of materials in its construction creating an exceptionally light effect. 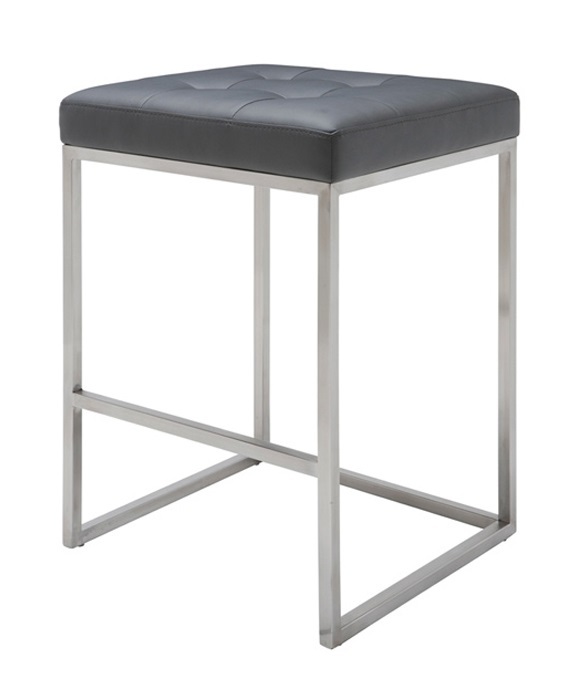 The stool is topped with a dense form fitting tufted naugahyde seat cushion for added comfort. Dimensions: 18"square x 25"H/.